There are only four blocks out of 27 left in the first release of a new Logan estate, proving the growth corridor is still booming. The $75 million The Highlands estate, by Choice Homes, will eventually see 163 blocks sold as a new master planned community in the Logan Corridor. 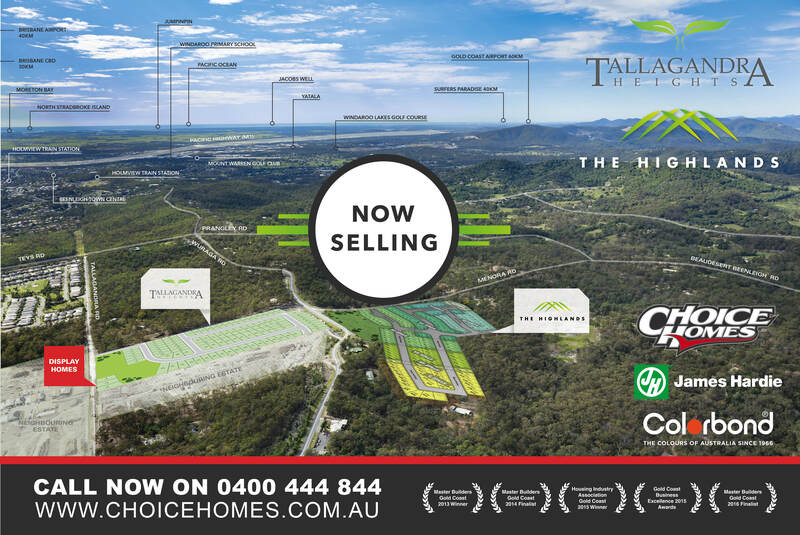 Choice Homes director Troy Knight is expecting the new estate in Holmview to match the performance of its nearby sister estate, Tallagandra Heights, which sold out in record time. “We are expecting to deliver $75 million plus in house and land packages by the end of the year,” says Choice Homes Director Troy Knight. 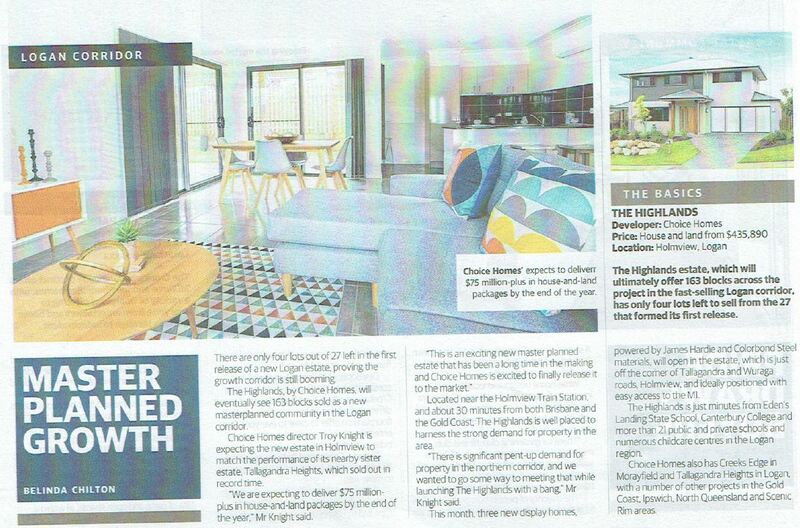 “There is significant pent up demand for property in the Northern Corridor and we wanted to go some way to meeting that while launching The Highlands with a bang,” Mr Knight said. 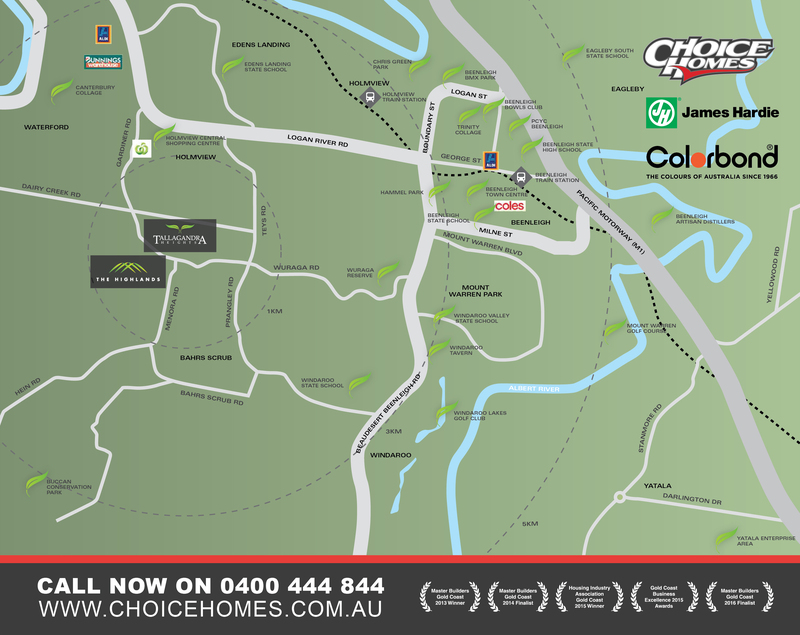 Next month, three new display homes, powered by James Hardie and Colorbond Steel materials, will open in the estate, which is situated just off the corner of Tallagandra and Wuraga Road, Holmview and ideally positioned with easy access to the M1.